Indiana might not be the first destination that comes to mind if you’re looking for a culturally rich, internationally driven weekend getaway. We get that. 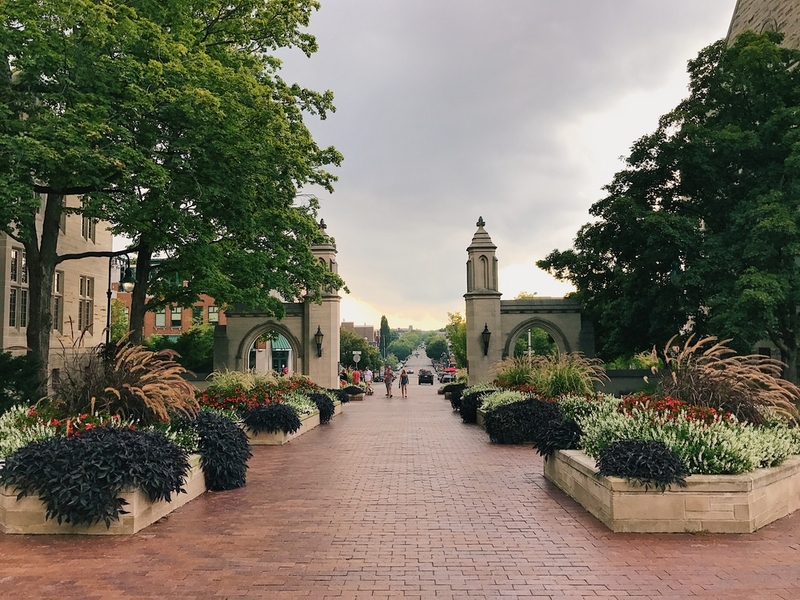 But with almost 50 ethnic restaurants, a hidden Tibetan monastery frequented by the Dalai Lama, Indiana University’s flagship campus, and an annual world-class international music festival, Bloomington, Indiana is a cultural mecca in a cluster of cornfields. Plus, it’s only a two-and-a-half-hour drive from the Queen City. Bloomington packs a compact punch for fewer than 25 square miles, squeezing in a Big 10 University, with almost 40,000 undergrads, and five (!) Krogers. It may seem like overkill, but it means you’re never far from the action. 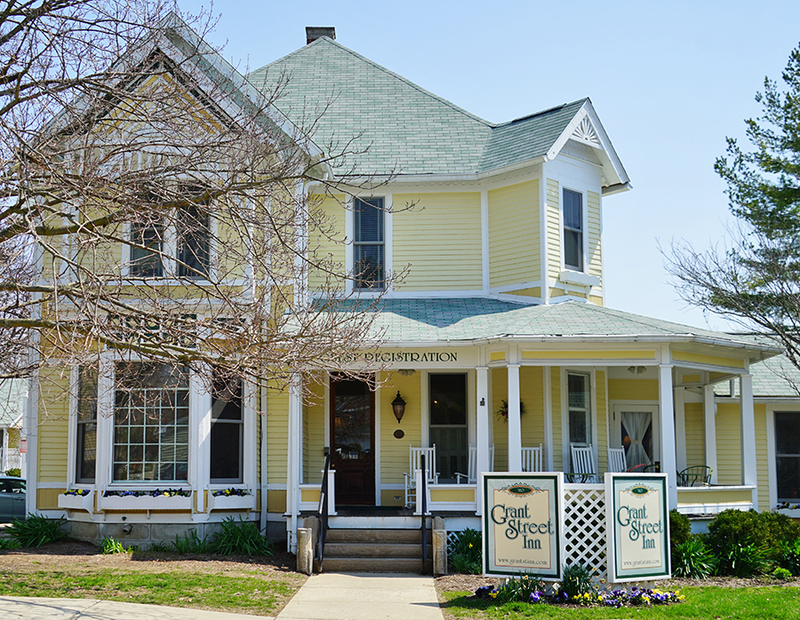 For a homegrown Hoosier experience, book a stay at Grant Street Inn, which sits between downtown Bloomington’s main square and IU’s campus. If you’re feeling more adventurous, try one of the Tibetan Mongolian Buddhist Cultural Center’s retreat cottages. Resembling a traditional Mongolian yurt, each cottage comes equipped with a small kitchen and dining area, bathroom, bed, and private balcony. A relaxing night in the woods on the 108-acre campus will surely help you find your zen. Brunch! We will be here until 3, come see us! Bloomington is also packed with casual joints, like Nick’s English Hut, which serves delicious, heavily seasoned and served-with-garlic-mayonnaise Sink the Biz fries, and Mother Bear’s Pizza, home to B-Town’s best thick crust pies. Regardless of which spot you choose, calories don’t count when you’re on vacation. Right? Every September since 1994, the Lotus World Music & Arts Festival brings international acts and more than 12,000 festivalgoers to downtown’s Kirkwood Avenue, which connects campus to the main square. From September 27–30, 30 musical acts from across the globe, including Ireland, Ecuador, and Turkey, will gather within 10 city blocks for concerts and showcases. To top it off, there’s a parade, art installations, yoga sessions, and food trucks. While you’re on Kirkwood Avenue, check out the vintage clothes at Cactus Flower, explore the record selection at Tracks Music & Videos just down the street, and browse the dusty collection of antique books at Caveat Emptor a few blocks west. But buyers beware: Take your allergy pill beforehand. If you drive into town using State Road 46 West, you’ll pass through Brown County, home of the Brown County Artist’s Colony, and Columbus, Indiana, ranked sixth in the nation for architectural innovation. While either of these make for a good pit stop, we recommend closing the weekend with a trip to Oliver Winery, the largest and oldest winery in Indiana. Try eight wines during a guided wine tasting, and then relax with a bottle or two on their outdoor patio. Keep it classy with the best-selling soft red, or expand your palate with the bubbly blueberry moscato. And just 17 minutes away from downtown Bloomington, the Uber fare won’t break the bank. Next articleCan FC Cincinnati End the City’s Playoff Drought?